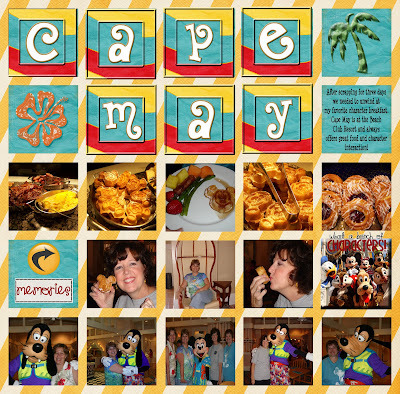 We stayed at Beach Club Villas and our first morning was a character breakfast at Cape May. 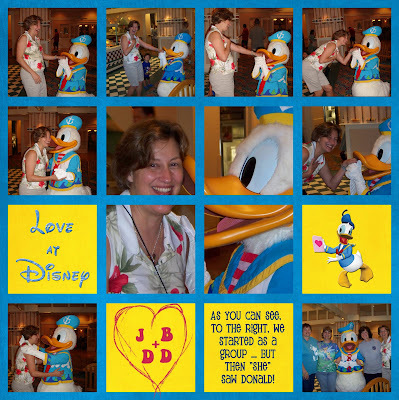 While at this character breakfast Jackie got to spend some special time with Donald. I love the 2nd picture on the first row because of the cute little boy looking at Jackie like "what are you gushing about!". Ha! 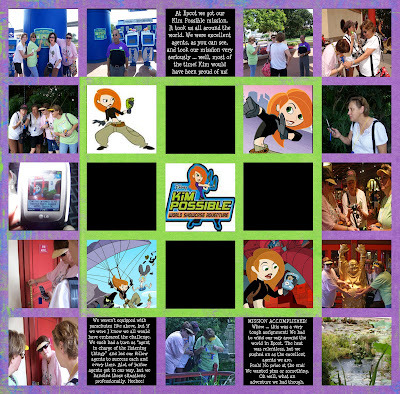 Finally, on our day at Epcot we decided to participate in the Kim Possible adventure. We had so much fun going from country to country solving this mystery. Gotta go work on a few more pages for tomorrow's posting. I think after this I'll actually get to the scrap cruise pictures from a year ago! Thanks for looking. Love the journaling about the "listening thingy". Try not to get too technical! More great layouts! I liked the tschnical jargin s well. But nothing beats the look on the kids face when jackie is getting "goofy" over Donald...Hey, I made a funny! This is so much fun! Keep putting these up - I am loving these!